Dismiss your foggy college memories of "gold" tequila. The Mexican national beverage is far more varied and complex than the stuff used for those tequila poppers. This distilled libation is made from only one plant – the Agave tequilana Weber, blue variety. Its lance-shaped leaves have a blue-green hue, which is why people often refer to it as "blue agave." When harvested, those spiky leaves are cut off to get to the plant's heart, or piña (which looks like a big pineapple). The piña is cooked to obtain the juices that form the basis for the final product. Much like cognac and champagne, Tequila is an appellation of origin. Besides being made from one kind of agave, it can only be produced in certain areas of Mexico (the entire state of Jalisco, and parts of Guanajuato, Michoacán, Nayarit, and Tamaulipas) to truly be called tequila. The finished product must contain at least 51 percent agave; the remaining 49 percent can include other sugars. Tequilas that are mixed in this way are called mixto, but the best quality products are 100 percent agave, with no mixing allowed. The immediate distilled drink is called blanco tequila (it's also referred to as "silver"). Aging the liquid in oak yields either reposado (rested) or añejo (aged) tequila, depending on the period of time it's been in oak barrels. Reposado tequila is aged anywhere from two months to one year. Añejo tequila stays in oak for a minimum of one year. There are “very aged” products as well – some muy añejos live in oak barrels for 7 to 10 years! Jalisco contains the two most popular regions for producing tequila: The area surrounding the town of Arandas, Los Altos (the heights) and the area outlying the town of Tequila. Just over 2,000 feet lower than the Los Altos region, the soil of Tequila's fields contains the evidence of millions of years of volcanic activity. The variation in the soil from the two areas yields a subtle taste difference. Tequilas made from Los Altos agave taste fruitier (a good example is El Tesoro). 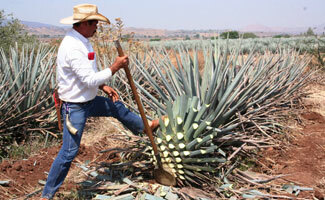 Tequilas made from Tequila agave have an earthier taste (a good example is Herradura). Guadalajara is the ideal jumping-off point for visits to Tequila, conveniently located on a newly government-recognized Tequila Trail. Judge first whether you want only a day trip with the agave spirit, or if you want to plan a few days touring and sampling. The fastest and easiest way to see the region on a day trip from Guadalajara is via the Tequila Express, a train that transports passengers to the town of Amatitan, home to Casa Herradura and the Hacienda San José del Refugio, which has been producing tequila since 1870. While at the hacienda, you'll have tours of the old and new factories, a tequila tasting, and dinner with local cuisine. Get in the spirit all day with mariachi music – you'll be serenaded on the round-trip train ride, as well as at dinner. A trip to Mexico for Tequila wouldn't be complete without a stop at this world-renowned distillery if only to see where the first bottles of tequila were made – they started back in 1795! Tours of Cuervo's La Rojeña distillery are offered by Mundo Cuervo, where you'll learn the history of the company and watch the production process. 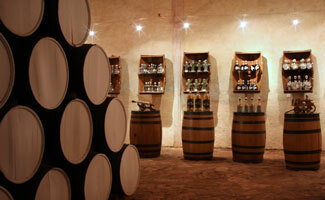 Ask to see the cellar where Reserva de la Familia (the distillery's most-aged tequila) sits in oak barrels. 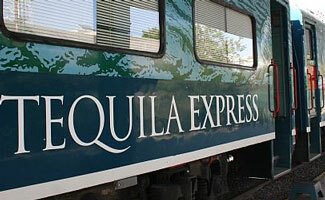 Jose Cuervo also has a rival train to the Tequila Express, called the Jose Cuervo Express – which you can choose to take as a day trip from Guadalajara. Sauza is another internationally recognized tequila, which makes a variety you'll find in your local bar at home. Tours start at the Rancho el Indio, where you'll watch how a jimador harvests agave. Then, you get to see the entire tequila making process at the distillery and taste the product (naturally). Of course there's a gift store where you can buy something to take home, or enjoy during your trip in Mexico. This distillery offers tours and tastings (and like the others, the opportunity to stock your bar at home). As opposed to the previous two big-name distilleries, La Cofradia is an example of a tequila business that stayed small and has changed little over the years. Avoid drinking and driving with a stay at the distillery's Estancia La Cofradía Hotel Boutique, a small property right next to the agave fields. Don't leave town without taking a photo of yourself next to the Tequila town sign, because that's what everyone does.